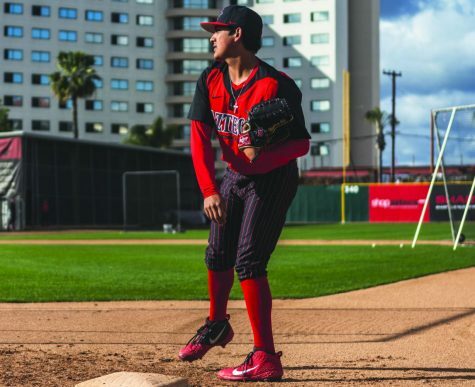 Redshirt junior pitcher Justin Goossen-Brown throws off the mound during the Aztecs 9-6 victory over Cal State Fullerton at Tony Gwynn Stadium on April 15. 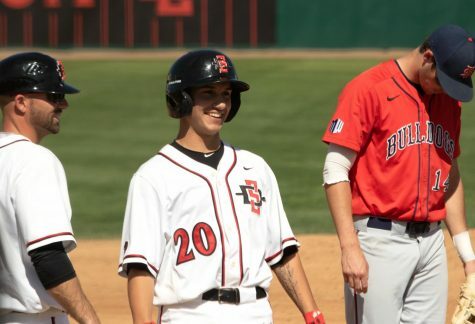 San Diego State baseball used a six-run third inning to defeat Cal State Fullerton by a score of 9-6, capturing the series at Tony Gwynn stadium in front of a lively crowd of 1,203 on April 15. 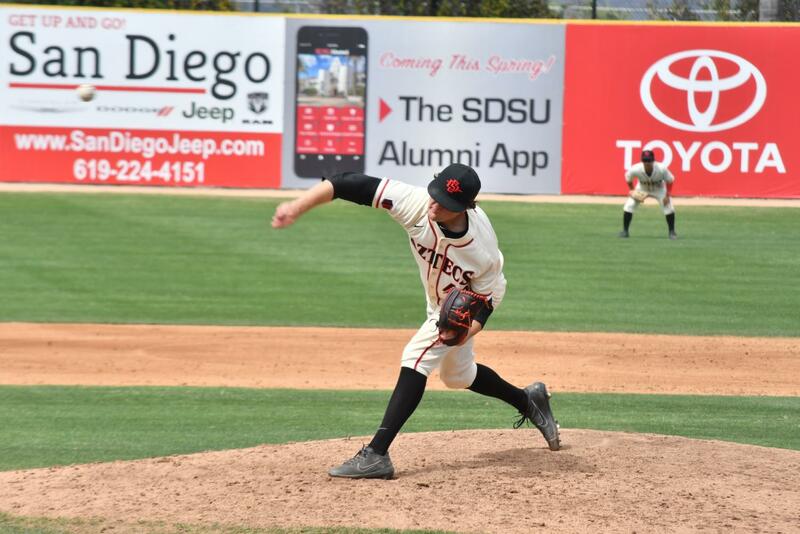 The Aztecs big third inning consisted of 11 batters coming to the plate, six runners scoring, and three different pitchers toeing the rubber for the Titans. The scoring outburst began with a leadoff home run from senior shortstop David Hensley, which hit the palm trees past the left-center wall to make the score 4-2. Titan starting pitcher Andrew Quezada then loaded the bases by walking senior outfielder Chase Calabuig, giving up a single to junior first baseman Jordan Verdon, and walking junior catcher Dean Nevarez. 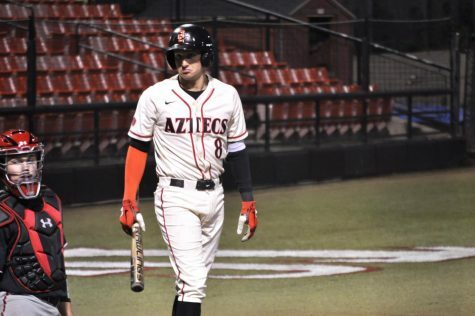 Sophomore outfielder Julian Escobedo was able to draw a run-scoring walk, before Quezada was was relieved of his duties by freshman pitcher Tanner Bibee. As Bibee attempted to work out of the jam, junior designated hitter Chad Bible thought otherwise, crushing a two-run double that carried over the center fielder’s head to make the score 7-2 with still zero outs. 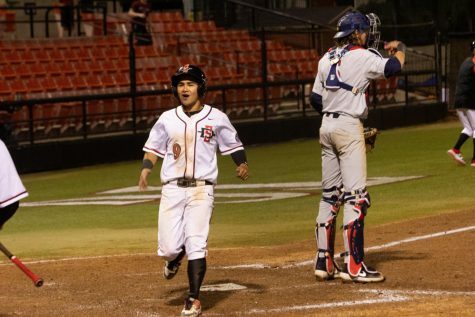 Freshman third baseman Casey Schmitt followed Bible’s double with an rbi single, before sophomore second baseman Jacob Maekawa concluded the scoring with a sacrifice fly. Fullerton sophomore pitcher Dillon Brown would come in to get the remaining outs of the inning. While the Titans used six different pitchers in the game, Andrew Quezada (1-4) was saddled with the loss for his effort of two innings pitched with seven hits allowed, eight runs given up (six earned) and one strikeout. 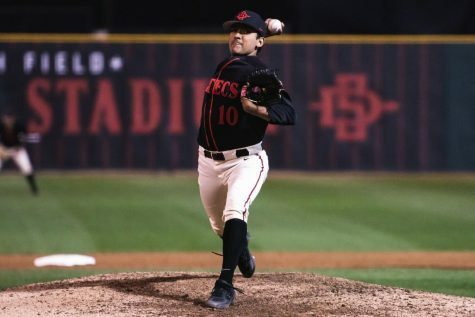 The Aztecs offense was quiet for the remainder of the game, relying on their pitching staff to seal the win. The Aztecs used four pitchers, including junior starting pitcher Justin Goossen-Brown, who went four innings. 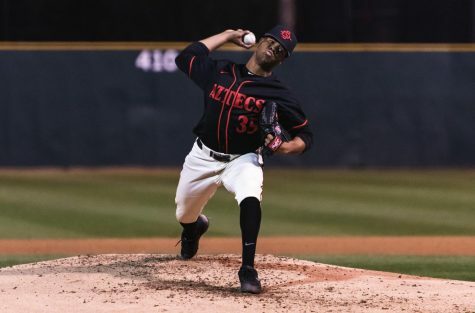 Freshman pitcher Christian Winston (1-0) earned the first win of his Aztecs career, after pitching two scoreless innings. Schmitt followed Winston on the mound, pitching 2.1 more scoreless innings to capture his third save of the season and second of the weekend. 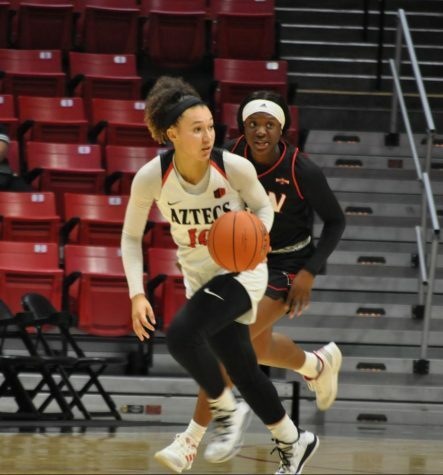 After losing their last two weekend series, the Aztecs grabbed a series win heading into conference play next weekend at home against Fresno State University. Martinez said that the team is hoping to get back on track with more conference series coming up. 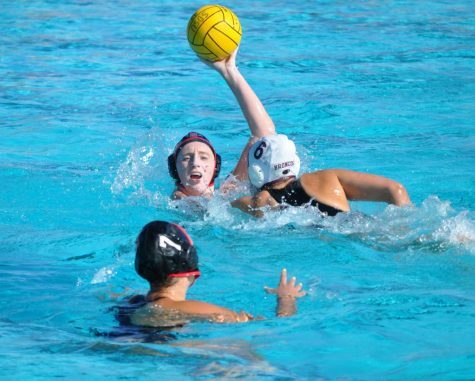 “We have a lot of home games coming up, so we’re hoping that is the case,” he said. 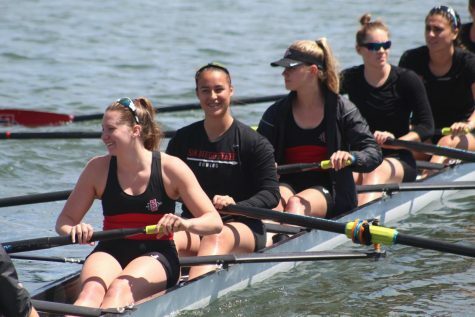 SDSU will stay at home this week, with their next game coming on April 17 against Cal State Northridge.